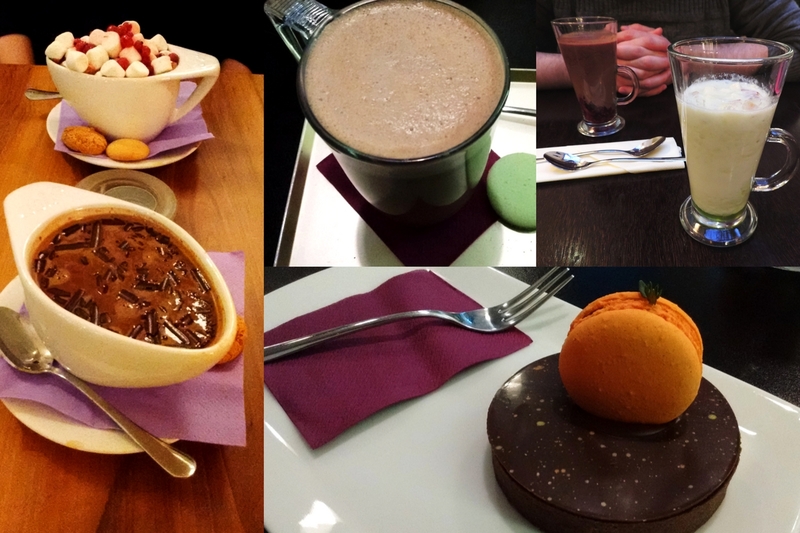 Our favorite thing to do in Budapest on a cold, rainy day is drinking hot chocolate. Actually, it’s true for any city but since we live in Budapest we have plenty of time to research the options here thoroughly. Like the long months of winter that we’ve just left behind. Or the chilly, windy days of spring and autumn. Okay, I can easily find an excuse for hot chocolate any time of the year. Whether it’s a sweet getaway for the two of us or a girls’ evening with one of my friends, a place that offers delicious hot chocolate seems like the perfect choice – said the chocolate addict. 😀 But where can you find truly delicious hot chocolate in Budapest? Let me share my favorite places with you. Noir Choco Bar is a relatively small, cosy place and chocolate is their specialty in any form: chocolate fondue, chocolate dessert, chocolate essences – and of course, hot chocolate! They offer hot chocolate in so many flavours – even with alcohol if you’d like it – that I think we need a couple of more long winters to try all the choices. Their hot chocolate is probably among the most expensive ones but it’s the best I’ve ever tasted. They rarely have free tables in the evening so you’ll better book one ahead. 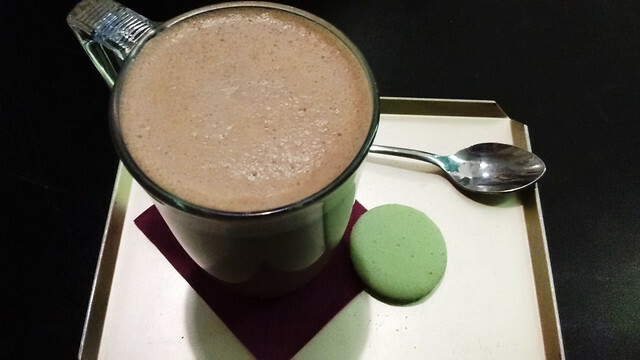 The hot chocolate is delicious, the place has a warm, friendly vibe and it’s right next to Élesztő, one of the most popular craft beer ruin pubs. Desszert.Neked is much more dangerous than a simple hot chocolate place. They also offer all kinds of special quality desserts that are hard to resist. And there’s no point, because what else would go so well with a glass of hot chocolate than a tiny, sweet dessert? In addition to the French style mousses, tartes or macarons, they also offer some traditional Hungarian sweets with a creative tweak (like Rákóczi túrós). Their hot chocolate is of good quality and I especially liked the gingerbread flavour they offered around Christmas time. We like the hot chocolates in Ahoy just as much as the shakes and smoothies. We can put together our dream drink from a lot of options – different kind of hot or cold base chocolates with plenty of flavours and toppings. The place is cosy, the staff is kind and it’s located close to lovely Egyetem Square (Egyetem tér). Well, here’s to the sweet moments! Do you like hot chocolate? Hot chocolate is always a good idea. 😀 Cheers!